We are major, major fans of artist Yayoi Kusama so we’re super duper excited to find out that she is bringing her famous exhibition to Australia next week!!! Granted, it’s not in Sydney (boo!) but it will be held in Brisbane at the Gallery of Modern Art (GOMA). It will offer audiences an overview of Kusama’s vast body of work from the last few decades. This will include the artist’s famed ‘infinity rooms’, plus her ‘obliteration room’, mirrored cube installations and 24 paintings from the ‘My Eternal Soul’ series. The last time Kusama graced Australian shores was during her Sydney exhibition way back in 2009, leaving us in the lurch for eight whole years!!! She has gained world recognition from a career spanning 60 years, with works in surrealism, pop, minimalism and psychedelia. 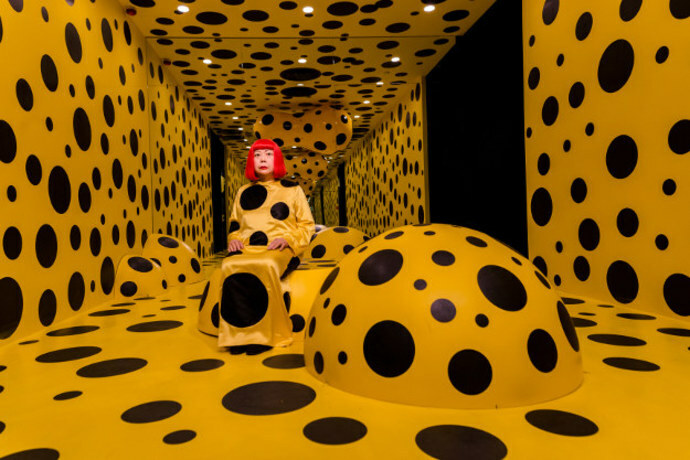 Put simply, Kusama is an icon, and you won’t want to miss this event. The Yayoi Kusama: Life is the Heart of a Rainbow exhibition is showing at GOMA from Saturday, November 4th through to Sunday February 11, 2018. Entry is free. Kehlani unleashes the first single “Crzy” from her highly-anticipated debut album due this fall. This hard-hitter is an unapologetic statement that embraces the challenges and double standards that come with being a woman; she takes being called crazy a compliment. The R&B powerhouse teamed up with two other strong females – songwriter/production duo Novawav – to create the unapologetic statement. Listen to it right now.